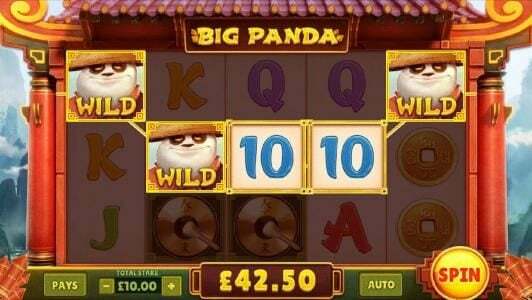 Big Panda Slots has not been reviewed yet, be the first to rate this slot. 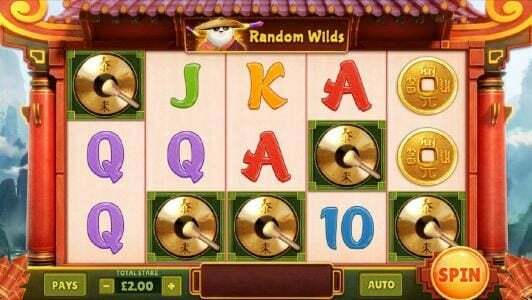 The action in Big Panda appears on a 5 reel, 20 lines set up and features wins up to $400. 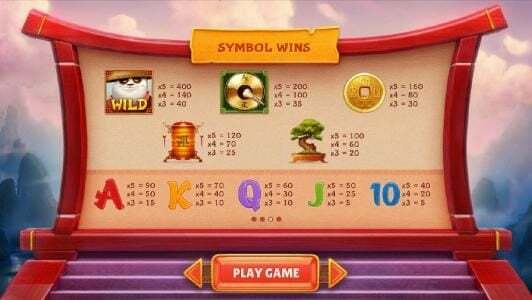 This game was designed by Cayetano offers wild symbols and multipliers. 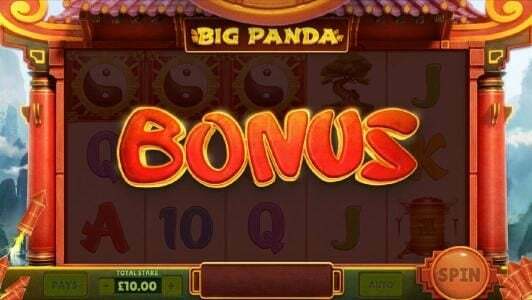 Big Panda is a Chinese themed Slot that has as the main character a Panda Bear that is dressed like a human, with a big Chinese straw hat and other types of clothes. The design is that of a Martial Arts temple found somewhere in the mountains, as you can see the beautiful scenery behind the reels. These reels are placed on the front side of the temple and you will notice the classic Chinese style roof. It’s a design that fits the theme rather well, offering you a variety of Asian inspired images and objects. The usual unfortunate playing cards are here as well, with no special design to fit the rest of the game. 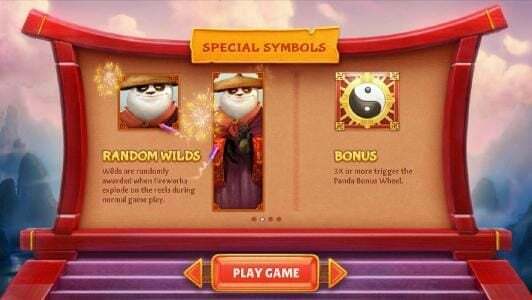 The symbols that are not poker cards include the Panda Bear, Yin Yang symbol, a gong, a Chinese gold coin, a lantern and a Bonsai tree. 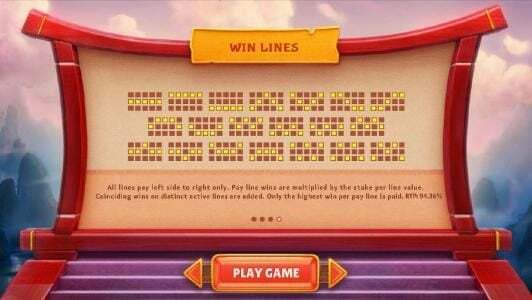 The game offers its players 20 lines that can be activated. The lines each get a single coin and its denomination is between $0.20 and $1. The maximum bet in this case is $20 and that gives you the chance to win up to $400 in regular rounds, though there are some higher potential prizes in the Bonus rounds. 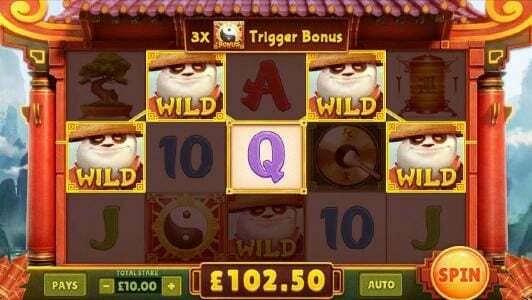 The biggest payout possible in the regular game is 400 coins from five wild symbols on a line. The wild is the image of the panda and it’s awarded at random whenever there are fireworks on the screen. It can be either a regular wild symbol or it can be expanded and covering an entire reel. Its substitution powers are the usual ones, which allow for the creation of new combinations and extra payouts. 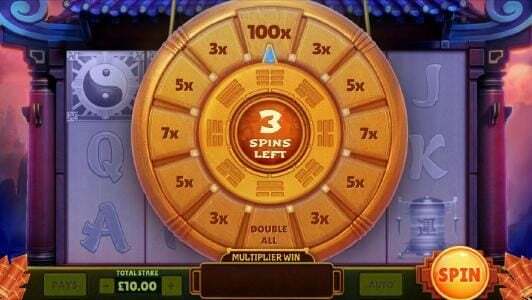 The other feature offered would be the bonus round with the wheel of fortune. You need 3 or more Yin Yang symbols in order to trigger it. 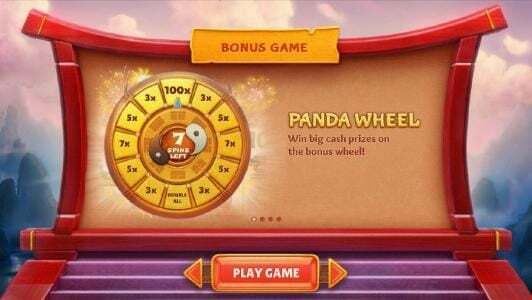 During this bonus game you have 7 spins of the wheel and you get a prize from each one. 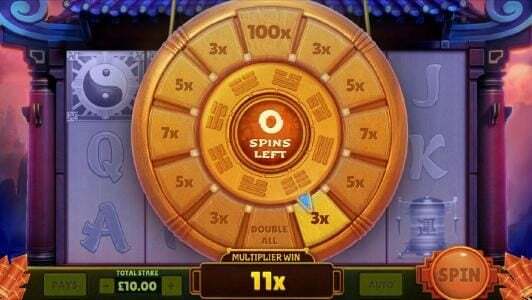 The options are multipliers between 3x and 100x plus the option to double the payout. Big Panda has certain advantages that make it a good choice. 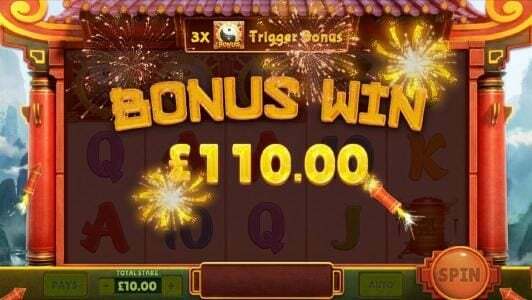 Despite the low payouts offered, the bonus game however can give significantly higher payouts.